This is the powerful question that begins “Creating Your Ultimate Destiny.” And “Creating Your Ultimate Destiny” is the powerful force that will guide you to design and live a truly extraordinary life. DESIGN AND LIVE YOUR LIFE EXACTLY THE WAY YOU WANT TO! 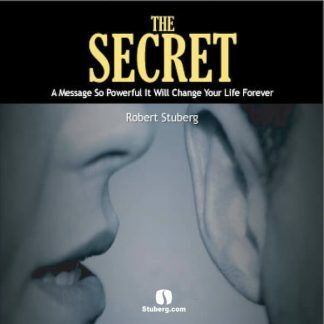 In this groundbreaking audio program, Robert Stuberg reveals the secrets of how you can do anything you want with your life, for the controlling force in your destiny is none other than you! Armed with this certainty and the toolbox of simple and inspirational ideas, techniques, and philosophies you’ll find in “Creating Your Ultimate Destiny,” you’ll find that when it comes to your future, the potential is infinite. Happiness, lasting success, confidence, strength, wealth, determination, health, fantastic personal relationships, optimism, boundless enthusiasm, unlimited energy . . . these will all be yours on a daily basis when you choose to create them. Once you’ve made “Creating Your Ultimate Destiny” a part of your life, you’ll joyfully arise in the mornings, eager to see what your immense personal power can transform from possibility to reality during the course of your day. And as your destiny unfolds and your accomplishments mount, your wildest dreams and loftiest goals will be ever closer to coming true. * How to recognize and actively utilize the immense power you have over what happens in your life. * How to determine exactly what it is you want, then taking steps to make that goal a reality. * The true nature of happiness and the elusive secret to being happy all the time. * How making a few decisions can change your life or the whole world! * How transforming the way you identify yourself will transform your entire life. * When to be happy with what you have and when it’s time to create something different. * How to travel the path of wisdom by expanding your knowledge. * How you can harness your natural curiosity and supercharge your mind power. * How to tap into the power of your imagination to bring your daydreams to life. * What your purpose in life is and how it will shape the course of your destiny. * How to access your control over your emotions and why this can lead to what you truly want in life. 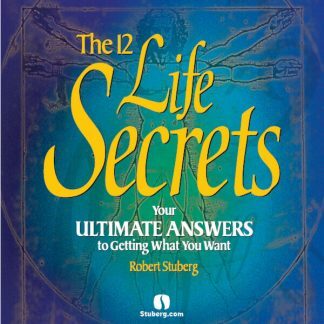 * How to overcome the negative effects of adversity and view your challenges as opportunities. 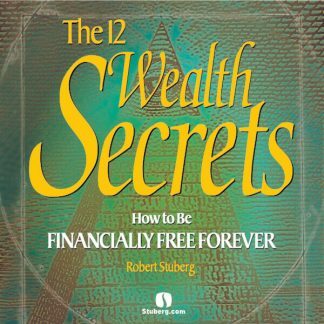 * What the concept of wealth means to you and how you can enjoy abundance in any of its forms, from health to relationships to money. * How to free yourself from negative influences and create a helpful network of positive individuals. * How to create certainty for yourself in an uncertain world. * How you can make each and every day an exciting and inspiring adventure. Instead of letting the future just happen to you . . . instead of letting yourself be battered and controlled by “random” events . 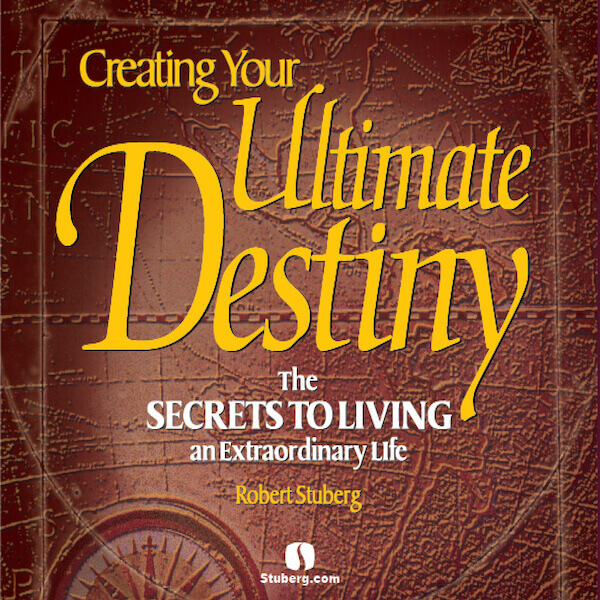 . . let “Creating Your Ultimate Destiny” put you in the driver’s seat of your own life. Robert Stuberg will give you the keys, but the destination is up to you! DISCOVER HOW TO LIVE YOUR DESTINY NOW! 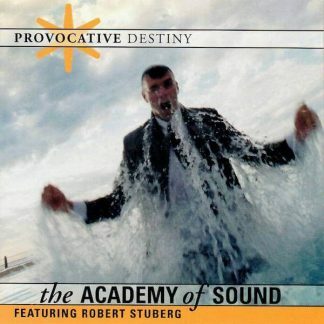 Session 1: What’s Your Ultimate Destiny? Track 5 – Take Action!